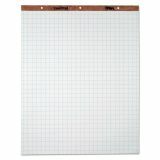 TOPS Easel Pads, Quadrille Rule, 27 x 34, White, 50 Sheets, 4 Pads/Carton - Full-size easy pad is ideal for larger group presentations. 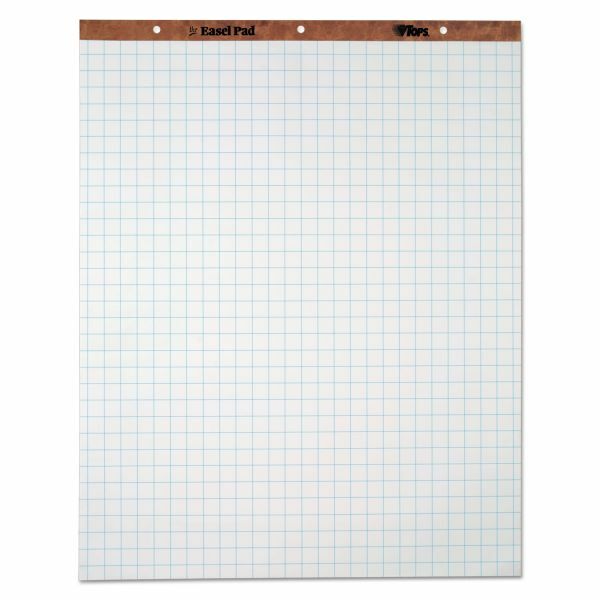 Each sheet is grid-ruled in light blue 1 squares for a neater display. Letr-Trim perforations allow easy and clean tear-out. 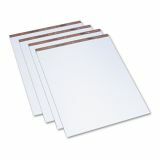 Pad contains 50 sheets of 15 lb. paper and has a 27 point chipboard backer. Pad is also three-hole punched to fit all standard easel stands.